Artist statement: "Her books and prints combine her passion for history and archeology with her lifelong habit of journaling. Using printmaking, photography and alternative photographic techniques, drawing and a variety of mixed media; Carrie weaves a complex message through the use of multiple narrative and imagery, often super-imposed, to comment on our relationship to the past and how civilizations, while believing themselves unique, rarely vary from the need to tell their stories: from megalithic structures and marble temples to industrial complexes. Her works focus on image and language, which is presented in sparse prose, often culled from her large collections of journals and her daily writing habit. The use of autobiographical material further attempts to bring a humanist focus, one accessible to everyone about the main message of our passage through time." Santa Rosa, California: Ketone Press, 2006. Edition of 38. 5.5 x 7"; 16 pages. Inkjet pigment on Rives-BFK paper. Handpainted elements. 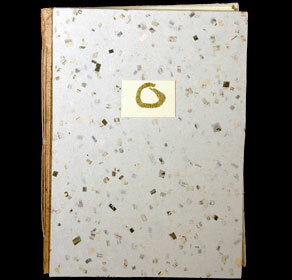 Bound in paper-covered boards with handsewn binding. Colophon: "Printed in California. Inspired in Turkey." In Spanish tesoro means both treasure and thesaurus. 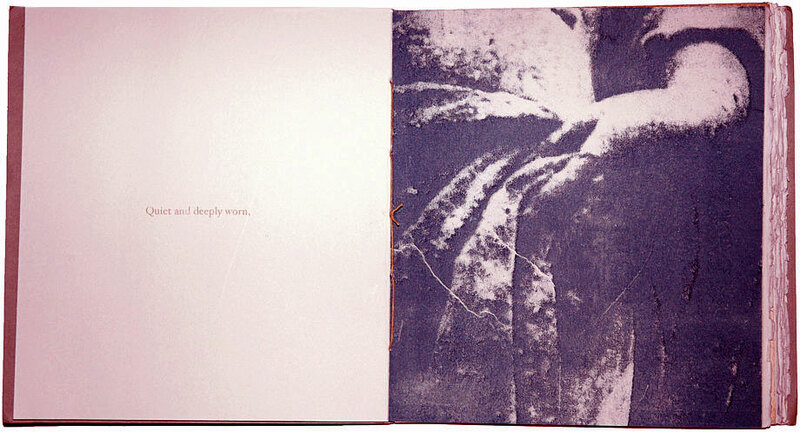 Art to be Read, University of the Arts, Printmaking Alumni Exhibition: "In Carrie Galbraith's Tesoro, text and image comprise different but intersecting voices, each on alternating page spreads. 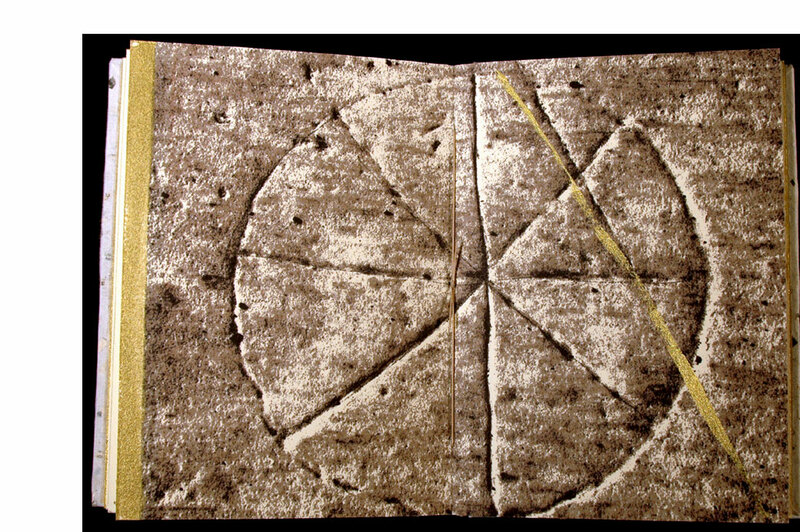 The book is a meditation on the human marks found in ruins, a meditation marked by stations, pauses, the shift from wordless image to imageless words and back again – each evoking its partialness, what cannot be known." Pennsylvania: Ketone Press, 2001. Edition of 100. 20 x 46cm; 20 pages. 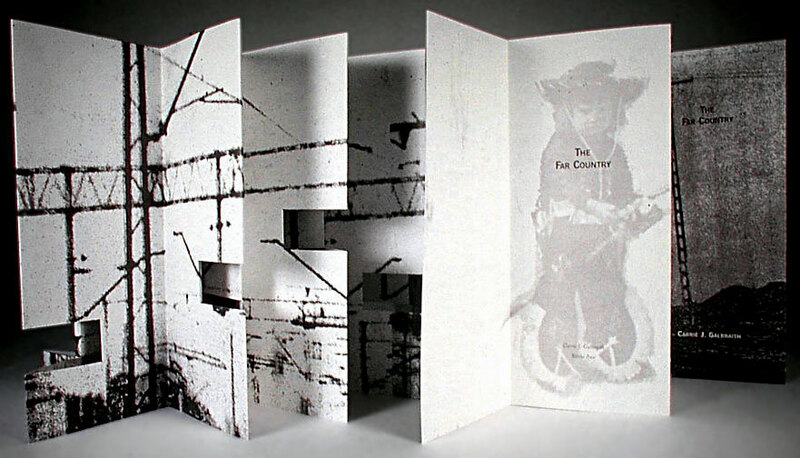 One-leaf folded accordion format to form 20 pages; includes popups. Scanned photos. Offset lithograph on Mohawk Supterfine paper. Printed on a Heidleberg KORS offset litho press at the Borowsky Center for Publication Arts, the University of Arts. Fragments of Galbraith's memories of her grandfather are interspersed with black & white images of him. Carrie Galbraith: "The ghosts of civilizations, as found in artifacts and ruins, reflect both personal and collective loss. My interest is the theme of history and memory and stems from my own losses, as understood and interpreted in the context of collective history as found in archeological sites. The loss of family leaves ruins in the form of fragmented, and often unfathomable, memories. 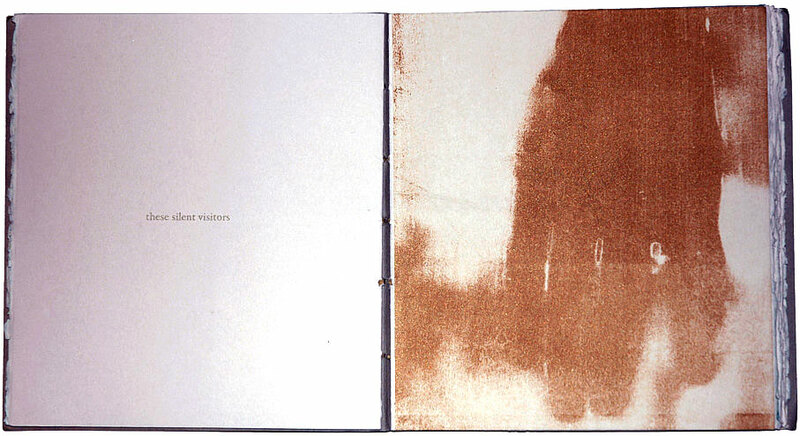 By combining drawing, printmaking, photography, digital imaging and writing, I explore the narratives found in these memories and inexplicable remains of the past through the book form." Pennsylvania: Ketone Press, 2004. Edition of 12. 25.5 x 25.5 cm. Digital photography. Plate lithography. Letterpress on Fabriano Rosapina paper. Pamphlet stitch binding. Compiled, edited, and printed in Venice, Italy, at the Scuola Internazionale di Grafica. Carrie Galbraith: "One of the many things that continues to call me to the next horizon is the way people build monuments in an effort to tell their story and how these narrative monuments change through the passage of time and the process of history. The ghosts of civilizations, as found in artifacts and ruins, reflect both personal and collective loss. "My travels serve to inform the work through observation and response to the ruins with my own memories, real and imagined. In documenting my journeys, be they long train or bus trips, long drives, or nightly dreams, I act as an archeologist in the excavation of the simplest of details. The broken windows of an empty apartment in Venice invoke the memories of a house briefly lived in childhood. The soft faded frescoes on the walls of houses in Pompeii speak directly to the soft faded photographs found in my grandmother’s scrapbooks."